Disneyland's 60th Anniversary Extravaganza! 6 Things You'll Love About It! Disneyland’s 60th Anniversary Extravaganza! 6 Things You’ll Love About It! 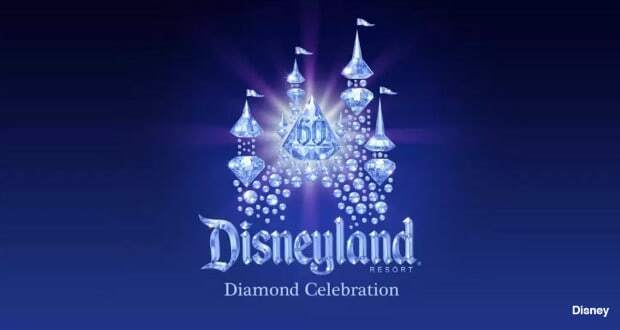 I know we are one of many Disney Fanatics who can’t wait to help Disneyland celebrate the 60th anniversary this summer. There is going to be special parades, shows, food, drinks AND merchandise galore. The celebrations begin May 22nd with an all-night Disney party and will continue all summer long. If you haven’t heard about all the incredible activities they have planned, take a look and then get ready to plan your trip to California. Disneyland Forever – So much more than a fireworks show, this brand-new extravaganza is going to take you to a whole new world. The magic won’t just be in the sky, but along the shops of Main Street USA, on the slopes of the Matterhorn and on the clock tower of It’s a Small World. The show is set to bring back all your favorite Disney movies along with some new original songs as well. This is sure to be an amazing show! 6. Paint the Night Parade – With over a million lights, the all new Paint the Night parade is sure to be a huge hit. The characters, floats and performers are all lit up in neon lights and some of your favorite characters will be there to celebrate too. There will be some fresh new music and cutting-edge special effects like only Disney can do, so make sure to catch this nighttime parade. 5. Bling and more bling – Sleeping Beauty’s castle and Carthay Square will be covered in diamonds. I was there just 2 weeks ago and the sparkle was already hanging over much of the castle. Other attractions have also been shined up for the big celebration. The Matterhorn, Soarin’ over California and Peter Pan’s Flight are all getting a makeover. Peter Pan, however, won’t be ready until July but everything else should be ready for the party. Don’t forget to also go by the Haunted Mansion and see the hatbox ghost who is making a special appearance. 4. Someone say shopping? – In case you needed more reasons to shop at Disneyland, they are bringing out some great items to mark the occasion. Pandora is bringing out 3 special 60th anniversary charms and Alex and Ani will also have some new bangles to celebrate. There will also be a series of 4 limited edition plush available. The first one is a black and white Pinocchio. They will have limited edition pins and vinylmation as well. If you like to collect the Disney popcorn buckets and sippers, they are even going to have some special 60th anniversary balloon buckets that I am sure will be a big seller. Of course, they will have bags, shirts and other collectibles to mark the special event too. 3. Food and drinks galore – Disney is pulling out all the stops with special drinks and treats. There will be plenty of frozen drinks to pick from like the frozen enchanted cherry apple lemonade, honey-bee frozen lemonade, wild raspberry rapids frozen lemonade and the frozen pomegranate silver sparkler. Since they are using lemon as the focus for their drinks, they are also making a special 60th anniversary lemon cupcake available at Disneyland Resort and an orange cupcake at California Adventure. 2. Dance the night away – If you have missed the nightly dance party at California Adventure, then Disney has you covered. Making an updated comeback in time for the 60th anniversary is the Mad T Party. They will have treats, photo spots, interactive dance parties and fun special effects to make this a family-friendly dance party everyone will love. 1. All new World of Color – Disney has created a brand new World of Color show called Celebrate-The Wonderful World of Walt Disney. The show is led by Mickey Mouse as he takes us on the journey of Walt and his imagination as he created Disneyland. The first of its kind show will have all new music, lasers and live action footage all shown on the big screen built of water. I have also heard that many other surprises are in store for the 60th anniversary celebration, but who wouldn’t expect more? This is Disney we are talking about, and no one celebrates like Disney. Happy 60th Disneyland! A certified "Disney Addict", Brandi is a mother of 2 boys (9 and 13) and the wife to a Disney lover as well. She is an elementary teacher who loves to share her passion with her students. Her hobbies include planning her next Disney trip, training and running in Run Disney events and cheering on her boys in sports.